One of the biggest problems that most bounce house business owners run into is the simple fact that they have never owned a business before. Because of this they tend to not have the training or experience necessary that make owning your own business a great deal easier than it is if you do not have any experience or training in how to run a business. While renting out moonwalks can be a fun and profitable business to own, a lot of people get stuck on a few crucial details, and one of them is when, and how, to run a promotion. You’ve likely seen those “50% off” advertisements before. That is considered a promotion. But what are promotions and what are they designed to do? Promotions are little bonuses that you give customers for giving your business a try, or for coming back to your business again. Those are the two basic types of promotions: ones for new business and ones for repeat business. Each has their own pros and cons. If you’re trying to strike up some new business in order to rent out more moonwalks than you may want to do a new business promotion. This type of promotion is designed to get your business more attention by giving new customers a great deal. The trick in any promotion is making sure that you give the customer a good deal without hurting yourself at the same time. Do a bit of math and you should be able to figure out how low you can go on your rental prices without hurting your income. The con for this promotion is the simple fact that repeat customers may be frustrated that they don’t qualify for the new deals you have. Repeat customers are always a good thing, and a repeat customer promotion can help to make your customers loyal to your business. This type of promotion is great if you’re looking to build that loyal fan base, but may not help you to bring in new business. That is why many business owners run both type of promotions – either at the same time or one after another. This way you’re able to entice both new and current customers to rent out your moonwalks for a good price, making them both happy and making your pockets that much more full. As technology has changed so, too, has the ability to create moonbounces and inflatable slides. 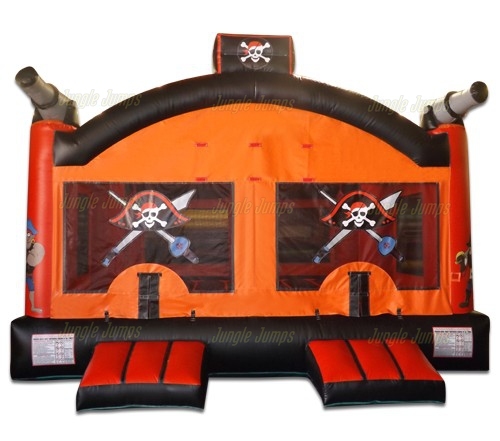 Now they’re more affordable than ever, and because of this some manufacturers have decided to create home versions of the large commercial moonbounce products that you are currently renting out. Because of this you’ve likely seen a bunch of websites that try to talk parents into purchasing their very own moonbounces, but the jump houses that these other manufacturers sell are not the same type of jump houses that you rent out. It’s important that your clients also recognize that there is a difference between a commercial moonbounce and the at-home version. 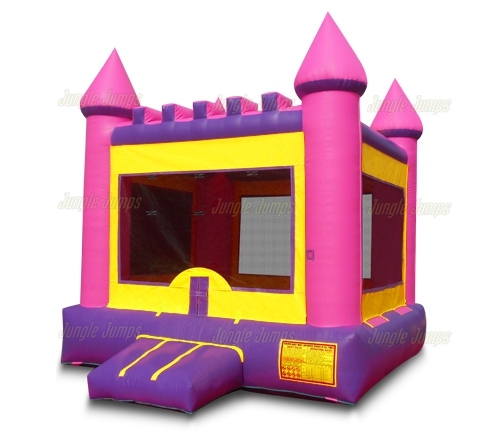 What is the biggest difference between the commercial moonbounce and the at-home variation of the same thing? The material that it is made out of. A commercial moonbounce is made of a high quality polymer that is designed to withstand a variety of different factors, including temperature, inclement weather, and a lot of foot and bouncing damage. It is designed to be cleanable and to last for a very long time. Even the sewing on a commercial moonbounce is designed to be much more sturdy and thorough and to last for a long time. 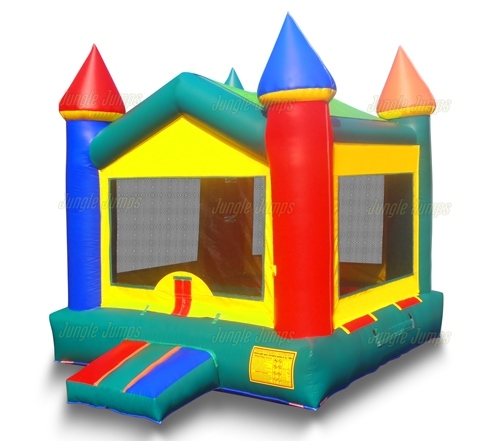 In contrast you will find that most at-home bounce houses that are sold are made of a lightweight plastic material that is not able to hold up for a long time. If just one or two children are jumping on it occasionally it should be fine, but if you have a large birthday party chances are pretty good that the lighter weight product will take a beating and will come out worse for the wear. The seams are also not designed to be as sturdy and can rip apart fairly easily in most at-home bounce houses, which is why they all come with patches. Another big difference between the commercial moonbounce and the at-home version is the blower. The blower that comes with a commercial version is designed to blow for as long as you want it to and many are actually very “green”. When it comes to an at-home moonbounce, however, the blower is not created to be as strong or to last as long as the commercial version. 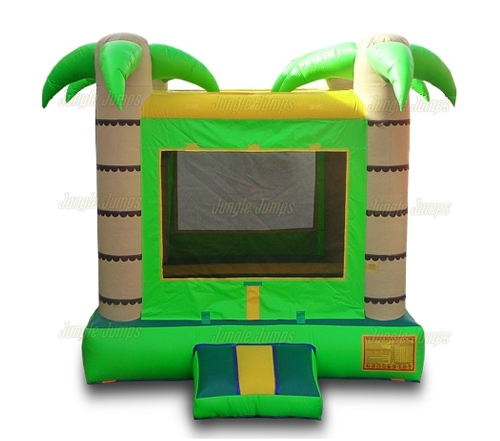 Parents should feel as though they can purchase their own moonbounce if they would like, but they should know that there is a huge difference between a commercial moonbounce and the at-home version. For awhile your business may be running beautifully and you may be so proud that you’re talking up your business to anyone who will listen. Unfortunately sooner or later it is inevitable that you will get frustrated with your business and you will feel as though you should drop the whole thing. What happened? Why did your opinion suddenly change about your business and what should you do about it? Before you even think about getting rid of the products that you bought from the moonbounce manufacturer you should first stop and figure out why you are so frustrated to begin with. Many times what business owners think is frustrating them is actually not what is really bothering them. For instance you may believe that slow business is bothering you, but what may be bothering you in reality is that you feel as though you are a failure. Everyone has slow business days and it’s important to recognize when business is slow and to do something to help pick things up, but make sure you know what the problem is before you consider sacking everything. If you’re that fed up that you’re ready to resell the things you bought from the moonbounce manufacturer it’s time to take a little break. Take a weekend off and make it a rule that you’re not allowed to even think about your business. Often just taking a few days away is a great way for you to gain a bit of perspective about your business. You can then go back to the business with a clean slate and able to breathe again. Before you sell things back to the moonbounce manufacturer, make a list. Make a list of all of the reasons why you should stay in business and all of the reasons why you shouldn’t. Be honest with each of your answers – you may even want to make the lists on two separate pieces of paper so that you can fully immerse yourself in each side of the argument. Once you’ve made the lists, walk away from them. Give yourself a few days before you revisit the list and see if you still feel the same way. Many times emotion can cause us to not see things clearly, and if you are able to put just the facts down you will likely see that your business is worth continuing. Here’s a simple truth: a vast majority of people who are starting an at-home business have never before owned their own business. Here’s another truth: because they have not owned their own business they are generally unfamiliar with things like “branding” and “DBA” paperwork. What do the two have in common? If you want your business to succeed you will need to understand both, just as you will need to select the perfect name for your bounce house business. 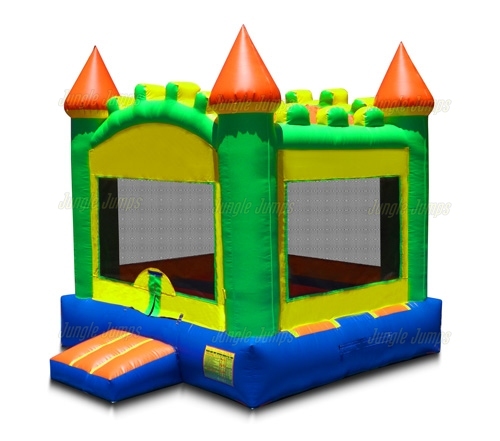 You may think that the hard work is over once you’ve selected and ordered the inflatables that you are starting your business with from the bounce house manufacturer. There is much more to a business than simply having a product to sell or rent, and one of the key factors in making sure that your business succeeds is in having the right business name. Your business name is something that needs to show off your brand. This means that the minute someone hears it you want them to instantly think about bounce houses. But how do you select the right name for your business the first time? How It Looks – The first thing you should do, even before you’ve purchased your inflatables from the bounce house manufacturer is to think of a name. You want something that connects with owning a bounce house. For example a lot of bounce house rental owners use the word “jumps” in their name. Keep it simple but also snappy and relevant so that it’s easy for locals to remember. Trademarking – Once you’ve found the perfect name you need to make sure that it is not already taken by another company. A Google search is a great way to start looking, but if you want to get serious than you’ll need to do a trademark search. This can be done right from the Business.gov website. Internet Ready – Finally you’ll need to make sure that whatever name you pick is internet ready. What does this mean? It means that the name is available for an internet address. Having an internet address that suits your business is key to making sure that people remember how to get to the site, so always check Google first before you settle on any one name. Once you’ve selected your businesses perfect name you can go about filling in the DBA (doing business as) form and selecting the right jump houses from the bounce house manufacturer, making you well on your way to having a business that you can be proud of.